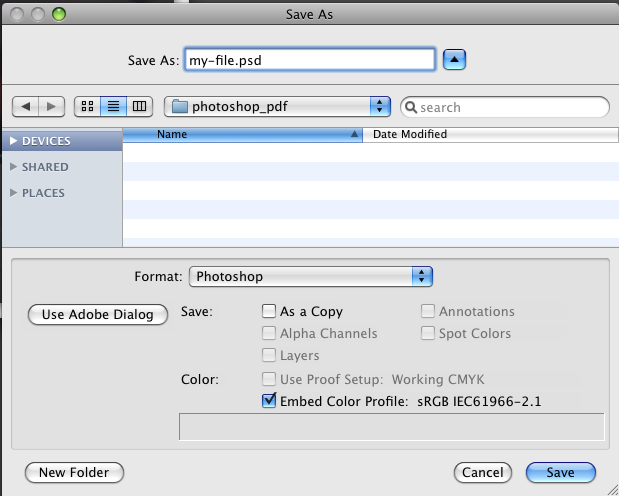 Open the document that you wish to convert to PDF in Adobe Photoshop, if it is not already open. 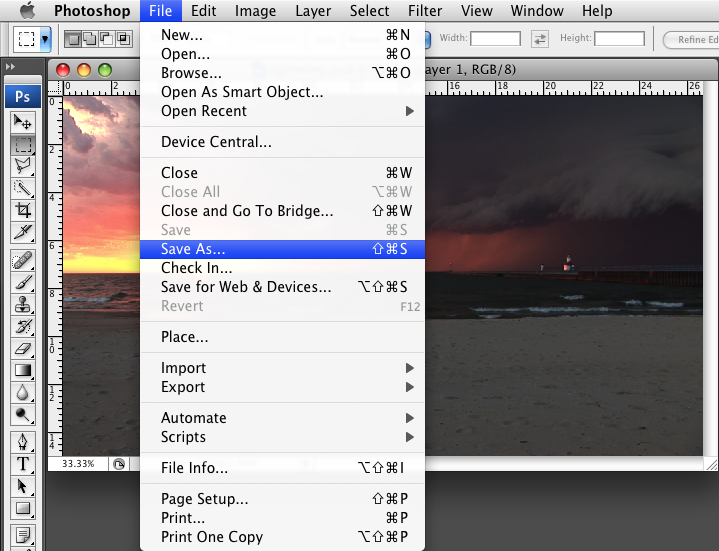 Although this tutorial is written on OSX, it is very similar to Windows as well. The first thing you’re going to want to do is flatten your image. You don’t want to save over-top of your old file after flattening, especially if you want to be able to edit it at a later date. Flattening will get rid of all of your layers and transparency settings, making sure that we get an image that prints properly, quickly, and is a reasonable file size. Choose a location and a (good, descriptive) file name. That’s it. You’re done. If you want to send the file to us, I would recommend checking out our file submission guide.